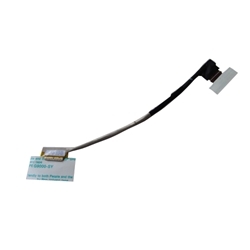 Description: New genuine Acer replacement lcd cable. This cable is for a non-touch screen. If your laptop came with a touchscreen this is not the correct cable. Part #'s: 50.MDDN1.004, EA40_HWFPC_LVDS_CABLE, 50.4YP01.042.